The Model J series regulator/vaporizer delivers consistent and reliable performance and pressure output. Its reliability has made it an industry standard. 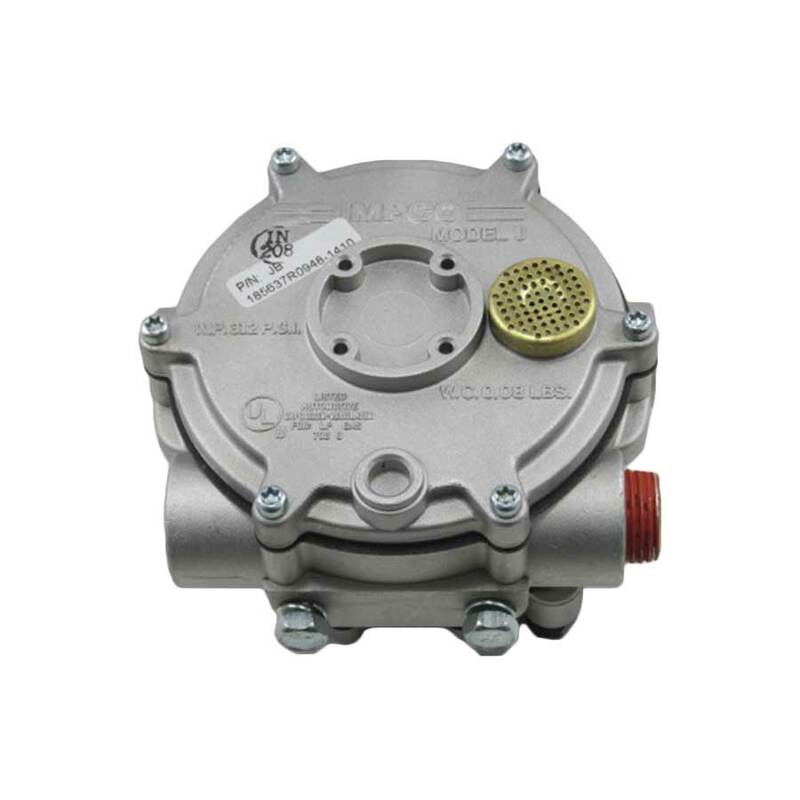 The port size and mounting pad locations are identical to the Cobra regulator and include a primary pressure test port and ‘left’ or ‘right’ fuel outlets. Mounting Position Vertical recommended. Horizontal position can be used when fuel contamination can be controlled with HD-5 or HD-10 specified LPG fuel. 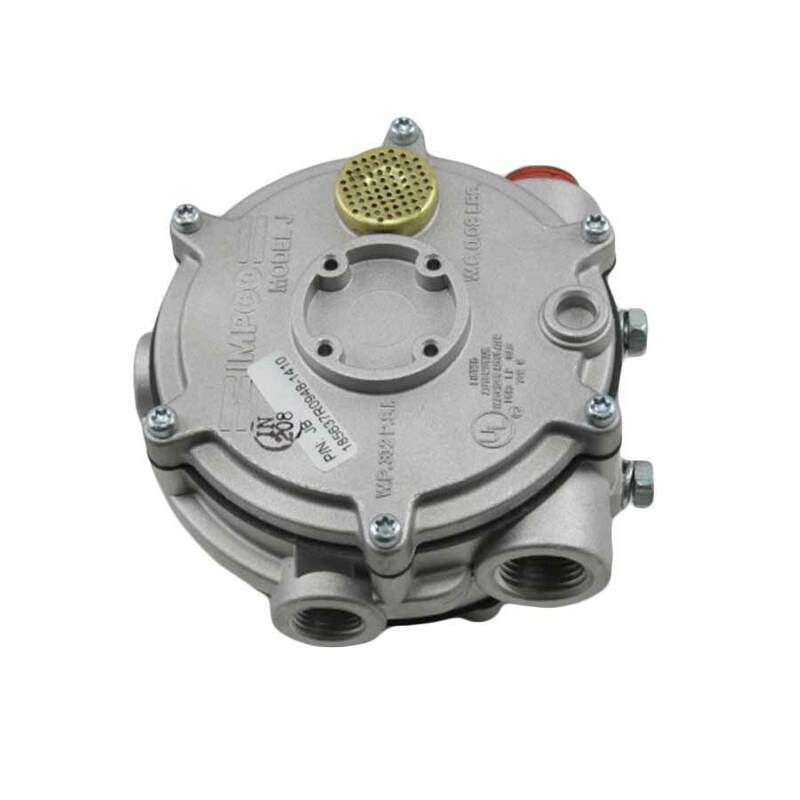 The model E is an engine heated two-stage regulator/vaporizers. The model E provides a choice of two negative outlet pressures. A manual primer is standard on the Model E.